Last night, as I was helping Dan build his online business through the Limitless Academy Startup Incubator Program, he brought up a topic that he reads about a lot when it comes to building his business. The USP, which stands for Unique Selling Point or Unique Selling Proposition. I wrote this following response to him to teach him about developing his USP. At this stage of the game, we developed your product/services to be better than the rest. You already know this because the beta testers you ran your services through validated your idea and you already made your first three sales within the first month of working together. While your product is remarkable, nobody has heard of you and your company. This leaves you with the question, how does your brand stand out from the rest and get the attention that it deserves, ultimately driving more sales? I went through the same thing while building Limitless Academy since 2014. Unlike some of the larger brands in the industry, you don’t have the high number of social media followers, you don’t have the big fancy advertisement budgets. While on the outside, all of the social proof other companies display attract more people to their brand at a viral rate; How does a product or brand that is just getting started out attract the customers they are looking to get? I’ll use my Unique Selling Point for Limitless Academy to help demonstrate how Limitless Academy is the better option for entrepreneur training than all of the larger and more well-known brands out there. What is the USP for Limitless Academy? Well, first of: I’m experienced. The default business to start when you’re not capable of starting a business yourself is to teach other people how to start their businesses. Do you see the irony in this? I have a buddy now who is using government welfare checks to travel the world. He never built a business in his life, and he uses pictures of him traveling through Southeast Asia as some sort of proof about how successful he is. The government paid him $1,700 per month for the last 16 months of his life, while he lives off the welfare of others. The first business he is trying to start is “business coaching” which he is trying to charge $10,000 for each client. Him, and 99.9% of coaches out there are like him – they never actually built a business before. My experience started when I was in my customers’ shoes. I had dreams of being an internet entrepreneur and I had no clue what I was doing. I was jumping from idea to idea, wanting to learn all of these things when I was overwhelmed, frustrated, and confused as to what I should do. For two and a half years, I was dreaming of being an entrepreneur, yet I had no success in that timeframe. I failed and was lost all of the time. I kept pressing forward and (by 2014) I starting building actual businesses. Eventually I went on to build a digital magazine publishing company with over 1,250,000 readers. I trained myself in psychology and applied that to help people reduce stress, overcome bad habits, and live a happier and healthier life. I have over 12,000 paying customers of the physical and digital products I’ve sold over the years, and I also have experience offering these things as a a high-ticket service; earning in upwards of $6,000 in a single day. If you look at the demographics of the modern day entrepreneur training industry. I’m already in the top 1%. That right there alone is enough to make my company stand out from the competition and make Limitless Academy a no-brainer for people who want to start their business. You are learning form someone who has built businesses, done all types of sales, and has been in this online business sphere since 2011 (learning, failing, and eventually succeeding). I stepped through the challenges, I rose above them, and I now have a lot of experience. Are there other entrepreneur training platforms, coaching, and books written by people who built actual businesses in the past? Of course! There are many people like me out there. But most of those people only do business coaching and training in their retirement. They are those retired war generals who aren’t fighting side-by-side in the trenches with the ones they are training. I am also building a legitimate business (RIGHT NOW) alongside what I teach from my past business experience. LimitlessCEO.com is my stress-management consulting firm (NOT business advice). It’s different. Most people out there built a business long ago, and while they do have the experience and credibility; they don’t go that extra step and jump into the trenches working alongside those who they help. On the very same day I was giving one of the entrepreneurs in my startup incubator program advice about creating a free product to help get his brand out in to the world, I was building a free stress management workbook for doing the same thing at the same time as my students. It’s the subtle nuances from speaking from fresh experience which makes the difference between advice recalled from decades ago; and what is actually happening right now. This way, when I teach you how to build your first online business: It’s not only from my past reference experiences of building my first online business (the personal development company which came after my digital magazine publishing business of 1,250,000 readers)…it’s combined with me actually doing the marketing campaigns and sales things that you’re learning now…alongside you. So that separates me from not only the fake-coaches, but also the entrepreneur retirees. Does that make getting trained at Limitless Academy unique? I would argue no…it’s still not enough for a true Unique Selling Proposition. To be fair, there are a lot of other great options out there for you to learn the practical skills of business. Some of those guys make more money than I do, which is great. People who do web design teach you web design. People who do sales copy teach you sales copy. People who do amazon sales teach you amazon sales. Are they a better option to learn from than the academic fake coaches who never started a business? Of course. Are they a better option than learning from a millionaire who built businesses decades ago? This could be argued, but I’d say in general – Yes, because they are in tune with the current online marketing and sales environment and trends of the industry. So there are people out there with more visibility than Limitless Academy, there are people who made more money than the instructors of Limitless Academy…So what makes Limitless Academy Unique and makes Limitless Academy better to learn from than the rest? How do I really hone in on my Unique Selling Point? USP #3 – I’m Experienced in Removing the Actual Things That Are Stopping You from Building Your Business. I have the special key that nobody else has. That one special skill-set that these other guys out there don’t have. In fact, people who enroll in those other training programs later come and hire me because I am able to solve problems that the other programs can’t. Multiple people enrolled in a web design school to learn how to start a web design business. 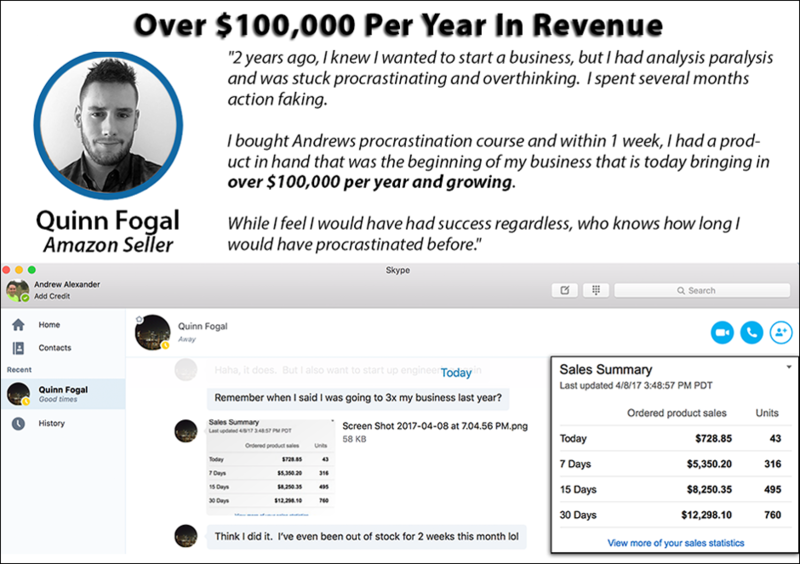 They paid thousands of dollars for their training (business setup, sales, etc). But when the time came around to start making cold calls…they stopped in their tracks. No matter how much logical advice of “just do it” was given to them, they froze and their business never got off the ground. The nervousness, the anxiety, the fear of failure, the fear of rejection, the emotional blockages that prevent them from actually taking action. So students of other training programs came and hired me. Within 10 minutes I used my very special skill-set to completely remove that fear of cold calling, failure, and rejection. That very same day, they made their first cold calls ever without that fear and emotions holding them back. Another USP that separates me from those programs is this: Do you really want to be spend your time writing sales copy or coding websites your entire life, or do you want to build a scalable business that will create real change, experience real growth, and last throughout the years? It’s the fears, emotions, habits, and mental struggles which hold you back the most. Aside from my business experience, I’ve also gained a lot of life experience. After my first business took off in 2014, I spent three years traveling across the United State and eventually began traveling the world, to learn new and unique things that most people never heard of. I’ve trained myself in NLP, Hypnosis, spirituality, and how to be a psychic. Not the fake psychics you see on TV, but the type of real training that improves your intuition so you can spot those subtle nuances that most people miss out on because they are too caught up in their logical thoughts. I’ve studied from the world’s leading pickup artists, I’ve been part of social activism movements that are the fastest growing movements in the world at this point, and learned from some of the most successful people on this planet. I learned their ways and I combined everything from all realms of success; and packaged it into a special formula. So what’s that one special little key? It’s how to reprogram your mindset and behaviors. 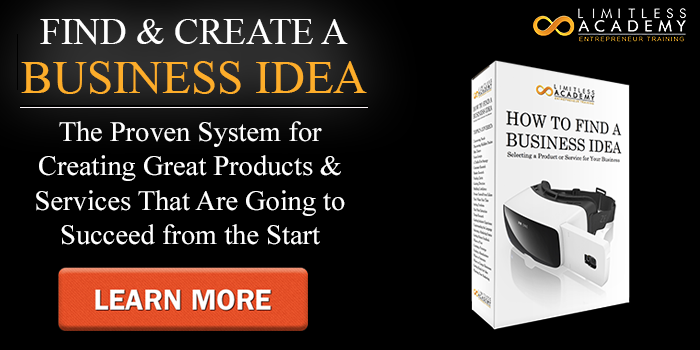 Whereas other business coaches who might want to help you could say “Just take action. Just do it. Be motivated. Don’t be an action faker.” I have the years of training, experience, and knowhow – to know exactly how to reach in to the deepest levels of your being, make those fine-tuned adjustments. To flip the switch in your human behavior. All those fears you once had… All those doubts in your mind…. All that cloudiness and feelings of not being able to do it. All of those internal things holding you back…will be gone with a flip of a switch. If you’re anything like me, you’ve taken online training courses before. You went through the videos, you went through the workbook, but then you were left still struggling to build your business. At Limitless Academy, we don’t teach you how to build businesses. You actually build your business within the program. This way, by the time you graduate, your business is already up and running, and you’re already making sales. That’s what makes Limitless Academy UNIQUE (USP). I know how the human mind and emotions work so I create the actual changes in your behavior. And that’s the one thing that nobody else in the world can offer you…because Limitless Academy has everything you need to not only learn the business skills (finding a product or service, website, sales, marketing, etc. ), gets you the experience actually building a business through the program (not simply “learning” how to build a business), and making the money you are making from sales within the first month of enrolling in the program. Since 2014, I’ve not only grown my own businesses (magazine publishing, personal development), but through Limitless Academy, I have personally helped over 385 different businesses get started through my training and help. Limitless Academy is educating based on real-world business experience. The instructors at Limitless Academy are practicing what we preach every single day, building our businesses alongside yours. 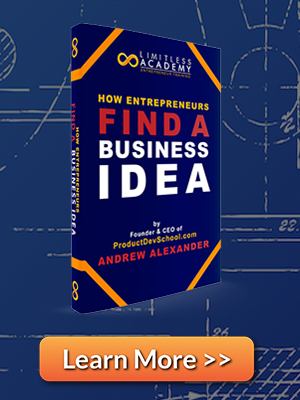 Limitless Academy will teach you all the practical skills of business (idea, sales, marketing). Limitless Academy will remove any mental, emotional, or physical limitation that no other people know how to remove. So by the time you graduate from the program, you will already have your business earning an income from making sales. And you’ll already be exactly where you want to be with entrepreneurship, like the hundreds of businesses which were built within our program in the past. 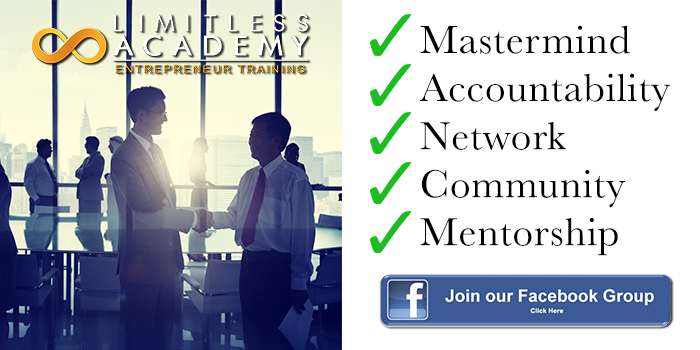 Through our personalized mentorship program, you don’t learn how to build a business through Limitless Academy. You actually build your business while you’re in the program. And you transform as a person so by the time you are done with our training, you have the confidence and abilities to grow your business by yourself, without the need for outside mentorship. So what makes us unique? You actually get the results you’ve been looking for. Think about you and your business…. Notice how when I described my business I had to face some of the hard truths about other businesses and other training programs that are my competition. You might want to shy away at how the companies that do what you do might appear to be better than you. It’s human nature to not look at these things, but what you want to do is transform their strengths into weaknesses. _______ Magazine – They have millions of followers, they have all the big name entrepreneur celebrities on the cover of their magazine, and they are much more well known in the industry. I can’t stand out on that front, because they have a lot of people they are trying to help at scale…I offer the personal attention through my incubator program. I help them personally, and bring in experts who help them personally 1-on-1 (not through group conference calls or simply a video course), but they have my full help to get them to the point they want to be. _______ Magazine is too big for that. Their perceived strength is actually a weakness because personal attention helps you grow your business faster. Other business coaches who are the real deal – _________ is an acquaintance of mine who offers Amazon Coaching. The dude makes easily over $2 Million per year, year after year. I can’t compare to him with my numbers. But I can compare to him with my ability to create the internal changes and release the behavioral blockages that people struggle with. The people who hire him could learn the practical skills and all that, but if they don’t get out of their own way, none of that leads to actual results. Same thing with two other business niche training schools. The guys who do that actually practice what they preach as well – but they lack my behavior transformation skill-set. By having my unique skill-set outside of the practical skills, and the years of experience using it – I stand out from people with higher numbers than me, and who are more liked than me, because I am not politically correct and piss a lot of people off lol. The Veterans – The guys who built a business years ago and wrote books about it and do executive coaching in their retirement. I can’t compare to their experience. But I am in the trenches with my students unlike they are, walking alongside the people I help as I build my LimitlessCEO.com business. Notice how their perceived strengths are actually their weaknesses? The Fake Coaches – And then there are the world-traveling welfare recipients who call themselves business coaches. The are the easy ones to separate from because they aren’t even a thought. They are too busy about following the thing they bought in an info product about creating webinars, sales funnels, and squeezing money out of people. Step 1 – Figure out all the competition and what they have which you don’t (size of audience, experience, number of people they helped, being more well known, being more established, being better liked). Step 2 – Don’t compete with them on their advantages. Say to yourself, “Ok, they have this, and this is great…but I have THAT.” and switch the frame to the other thing. Be sure to address the advantages of the competition just like I did. If my competition shows screenshots of 7 figures in their bank account – I don’t compare the 6 figures I’ve earned over the years. I don’t even fight on that front. I set the tone and focus on the personal development transformations and the results I’ve gotten for other people who went through my program. They brag about their success. But that means nothing about their student’s success. So as you move forward with your product or service, it might be difficult to try to compare yourself to the more established competition at first, but when you put your ego aside, make sure to develop yourself in to a brand that is truly unique. And that is the Unique Selling Proposition (USP) for your business.